Photography at MoMA, Vol. 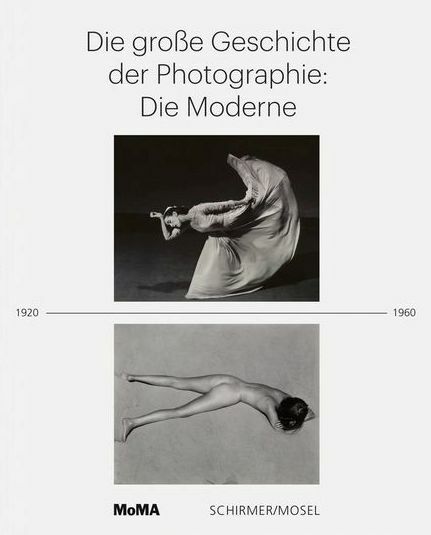 II covers the years between 1920 and 1960, from Alfred Stieglitz to Diane Arbus: the European avant-gardes; American modernism; Surrealism; the so-called “documentary style”; snapshot, studio, and subjective photography; and street photography. Schirmer/Mosel. Ed. and with texts by Quentin Bajac, Lucy Gallun, Roxana Marcoci, Sarah Hermanson Meister and others. 416 pages, 529 colour and duotone plates. Size: 24 x 31 cm, hardcover. German edition.